Notification text here, to be set by token. Check your inbox for an email from Berklee Online. 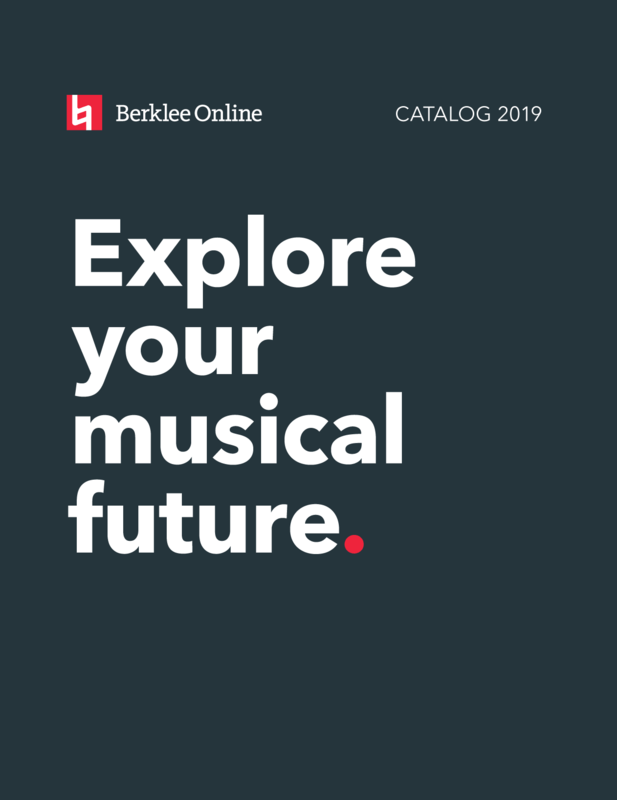 Click on the enclosed link to verify your email address and gain access to the Berklee Online Course Catalog. Berklee Online is a University Professional and Continuing Education Association (UPCEA) award-winner fourteen years in a row (2005-2018). No other accredited institution offers the acclaimed degree curriculum provided by Berklee Online. Earn your degree at a cost that's 60% less than campus tuition and graduate with a professional portfolio that will prepare you for a career in many areas of music. Berklee Online instructors have managed, produced, and engineered hundreds of artists and records and have received numerous industry awards. Each week you'll have the opportunity to participate in a live chat with your instructor and receive 1-on-1 instruction and feedback on your assignments. Offering courses for beginners and accomplished musicians alike, our student body includes working professionals, executives at industry-leading technology and business firms, and members of internationally known acts like Nine Inch Nails, Dave Matthews Band, and Sugarland.